Weight Loss Surgery in India is becoming an increasingly popular option for offshore patients suffering from obesity who wish to access high quality healthcare at affordable prices. Bariatric surgery is the last recourse available in cases where weight loss has not been possible non-surgically. With a burgeoning healthcare sector, India has emerged as a leading destination for getting affordable weight loss surgery. More and more people are heading to avail affordable bariatric surgeries such as lap band, gastric bypass, and sleeve gastrectomy in India. High level of medical expertise and low costs of medical care are some of the prime reasons responsible for attracting nearly 45% of the medical tourism traffic from countries such as the U.K. and the U.S.A. to India. Obesity is a medical condition which is created as a result of accumulation of excessive fatty tissue in the body. It has hit epidemic proportions globally. As per statistics compiled by Worldometers, nearly half a billion people around the globe are obese. A report released by the WHO touts nearly 700 million people to become obese by the year 2015. Persons with a BMI in excess of 35 are usually considered for obesity surgery or weight loss procedures. Bariatric surgery can provide relief from obesity related health disorders such as sleep Apnea, hypertension, and heart problems, etc. The history of obesity surgeries in India can be traced back to the mid 90s. Indian bariatric surgeons have been performing weight loss surgeries for more than a decade now. India has embraced the technological advancements introduced in different parts of the globe. In the field of bariatrics too, Indian hospitals have adopted cutting edge weight loss technology and incorporated the latest bariatric instrumentation. Coming years have seen the mushrooming of numerous state-of-the-art weight loss centres across the Indian cities such as Mumbai, Delhi, Chennai, Bangalore, Hyderabad, and Jaipur. The WHO puts the number of over-weight people in the world at 1.5 billion. Obesity is also stated to be the fifth leading cause of deaths worldwide. 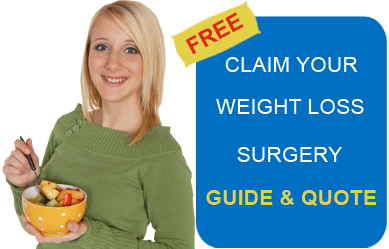 It is evident then that obesity is a major health disorder causing people to opt for weight loss surgery. Obesity surgery in India is considered by many since cost advantages lie between 30% and70% as compared to the developed nations. Though offshore patients might contend that the cost advantage of undergoing bariatric surgeries in India might get nullified by the air travel and accommodation expenses, on the contrary, even after taking into account air fare, lodging, and in-country transportation expenses, one will still find oneself spending only a fraction of what weight lost surgeries cost in their home countries. While bariatric surgery costs in India might be low, the quality of care remains at par with that of developed nations. This has been made possible due to making available the latest information and communications technology to the medicare sector in India and the low cost of living in this country. India has 17 JCI (Joint Commission International) accredited hospitals and 73 NABH (National Accreditation Board for Health and Healthcare Providers) recognized medical institutions. International accreditation makes it imperative to abide by the stringent safety and quality standards set by the accreditation bodies. Currently pegged at $40 billion by 4P magazine, the Indian healthcare industry is expected to grow at a CAGR of 21% over the next ten years. Private healthcare institutions in India account for about 80% of the expenditure on healthcare. This goes on to prove the extent of quality and expertise which can be expected from these institutions. Weight loss surgeons in India are highly qualified and many of them have undergone training in the prestigious medical schools of the West. A number of them also have international work experience to boast of. Laparoscopically performed bariatric surgeries such as Lap- Band surgery and Gastric Sleeve as well as malabsorptive procedures like Roux-en-Y- procedure or gastric bypass are commonly performed in reputed bariatric surgery hospitals in India. Another reason why gastric band surgery, gastric sleeve resection, and gastric bypass surgery in India are a hit among people from the Western countries is the immediate availability of these treatments, sans any waiting lines. Hospital rooms are comparable to five star hotel suites and boast of the perfect mix of aesthetics and functionality. Reputed Indian hospitals use state-of-the-art equipments and provide all comforts to their patients. As a matter of fact, the Indian Medical Technology industry is currently valued at around $3 billion and expected to reach $14 billion by 2020. Adding to the convenience of foreign patients is the fact that English is the country’s second language and therefore is commonly spoken and understood. Patients dreading a language barrier in India can heave a sigh of relief as a number of hospitals in India also engage the services of language interpreters for the convenience of their non English-speaking staff. While a decision to undergo bariatric surgery in India can be taken purely on the basis of low costs of medical care, there are various other reasons which can be considered. India is ranked as the 12th most attractive destination in the Asia- Pacific region for tourism purposes according to a report by the World Economic Forum. It is a land steeped in culture and history. From the remnants of the world’s first modern civilization i.e. the Indus valley civilization to the Gothic architecture of the British, India has it all. The Taj Mahal which was included in the list of Seven Wonders by the ‘New 7 Wonders Foundation’ recently is well known worldwide. Rich in flora and fauna and blessed with a diverse topography, India has quaint hill stations such as Shimla and Manali on one hand and ravishing deserts such as those found in Gujarat and Rajasthan on the other. For the beach lovers, there are the idyllic beaches of Goa, Kerala, Bengal, etc., to name a few. Known for its spicy and differentiated cuisine, India can be a gastronomical delight. With well connected international airports, reaching India is easy. The country also has the world’s fourth largest railway network and an extensive road transportation infrastructure. An ever increasing number of satisfied post-surgery patients in India has helped garner the attention of people all over the world desirous of undergoing surgical procedure for curbing obesity. Undergoing weight loss surgery in India can prove to be rewarding in more ways than one. Obesity surgery in India can mean a combination of high quality medical care and low prices. Along with that, it can also mean a holidaying experience of a lifetime.